July 1937. 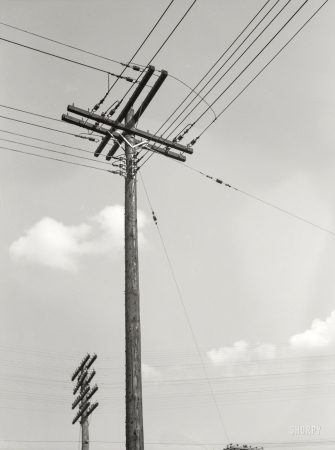 "Electrical and telephone wires. Rosslyn, Virginia."